Neighbourhood restaurants with a French flair. Kara is a neighbourhood Western restaurant with a French slant. Inconspicuously located, it has a chic interior, with muted gray and black tones, and discreet lighting. The small menu features safe, rather than adventurous, choices for adult dining — no kids’ portions, fish and chips or pastas. A small wine list rounds off the dining experience. Paper napkins, no tablecloth, with crisp, fresh garlic bread served before the meal. From the choice of cold and hot appetisers, the Gratinated French Onion Soup (RM14) was light and clear with melted cheese on bread, and plenty of herbs for full flavour, while escargots (RM32) was served on toast smothered with garlic herb butter — a mild and safe starter for those squeamish about snails, but rather too diluted for my taste. 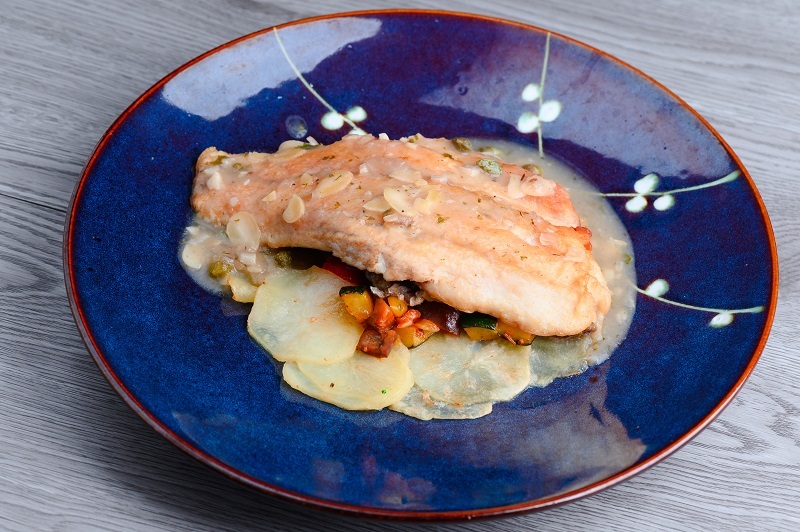 From the choice of the eight mains, the Seabass Fillet with Almonds and Capers Butter (RM48) was generously portioned and well-presented on a bed of finely-sliced potato and diced, roasted vegetables. The sauce added a lively dimension to the otherwise firm, well-seared fish. 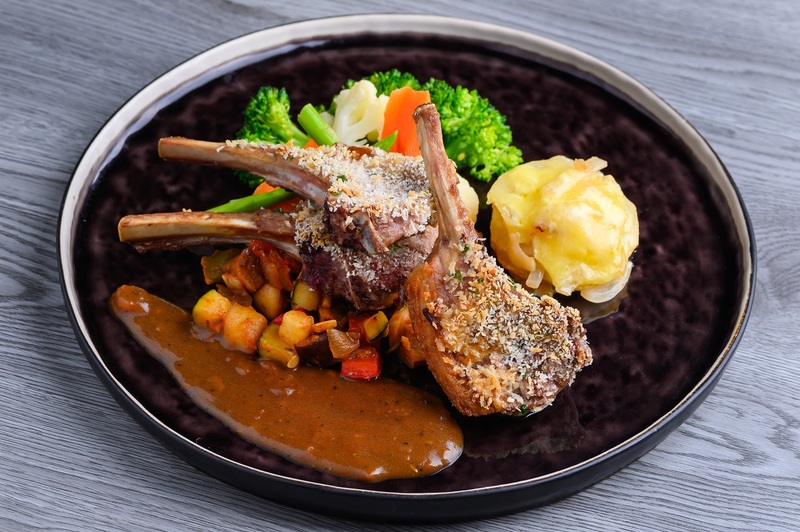 Lamb Rack with Provencal Herbs and Ratatouille (RM60) was beyond reproach, nicely plated with generous, meaty portions in a thick fragrant herb sauce, a good portion of mixed vegetables and ratatouille accompaniments. 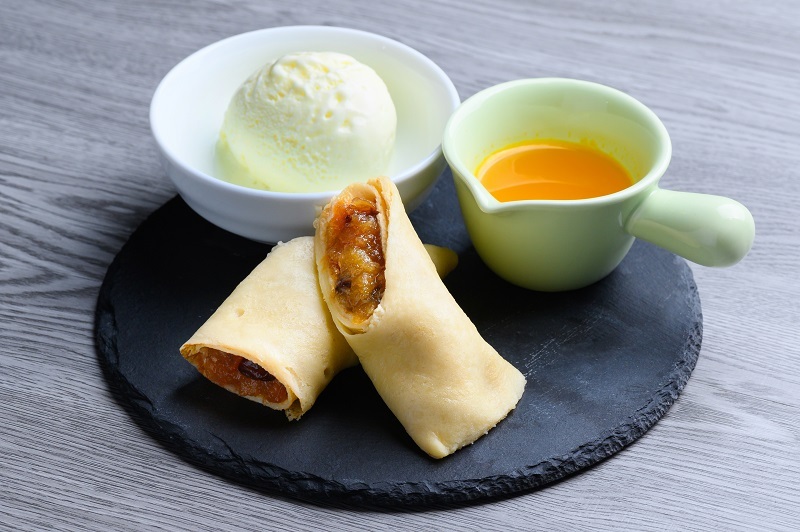 From the small desserts section, we selected the Pancakes with Apple and Orange Sauce (RM18), with ice-cream in a light citrus sauce and crepes layered with cooked orange and raisins. Light and pleasing without the force of character. In spite of the chic setting, the restaurant is casual rather than formal, with good service. It provides a patina of sophistication, without resorting to the obvious or venturing into the tawdry — the right balance for a neighbourhood restaurant with a set of solid and finely-wrought offerings at easy-on-the-wallet prices. Playing it safe, however, runs the risk of being humdrum and not standing out from the crowd. Chez Gaston is Act Two for French chef Florian Nigen, the first being the now defunct RendezVous. Although in Bangsar, Chez Gaston is an oasis of chic in an unlikely neighbourhood of convenience stores, offices and mamak restaurants. The décor is pointedly unpretentious, with a teal-and-white colour theme giving way to a simple non-airconditioned interior, vinyl wooden flooring and a few decorative quirks such as an old Singer sewing machine and a bicycle. A good wine list complements the versatile menu, littered with classic, rustic French favourites — none of that molecular cuisine here, but rather terrines, rillettes and rabbit. We started off with a couple of traditional starters. 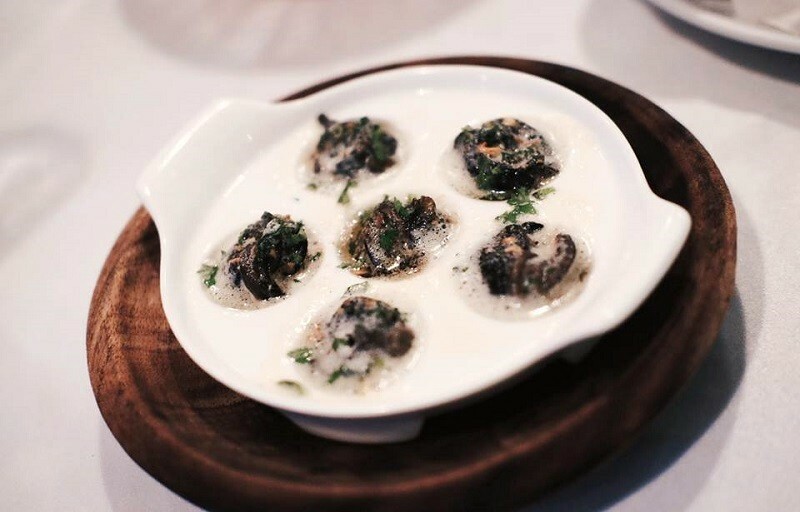 Escargots Bourguignon (RM22) was half a dozen squidgy, flavourful snails in a superb garlic butter sauce liberally sprinkled with herbs, made for dipping with crusty baguette sections. The memorable and original Soupe de Poissons (RM17) drew on a family recipe for a thick, tomato-based bisque-like soup rich with fish flavour, accompanied by croutons, rouille and shredded emmental cheese. Beef cheeks stewed for eight hours in a red wine sauce yielded a wonderfully tender, Beouf Bourguignon (RM48) with a rich, smooth mouth feel, while the Fillet de lieu au Beurre Blanc (RM39) — white fish on a bed of basmati and black sweet onion rice — was anything but bland, the steamed, meaty pollock contrasting with the rice, and enlivened by the rich bite of the butter sauce. Two traditional French favourites finished off the meal. Crème Brûlée (RM12) was light and pleasing, with a thin custard under a lightly caramelised sugary crust, while the Tarte aux Pommes (RM12), served with whipped cream, was stylish, with delicate, layered slices of apple compote, not too sweet and with a slight tart finish. Chez Gaston serves rustic and robust traditional French favourites at surprisingly affordable prices, which more than compensates for its out-of-the-way location (tip: parking is problematic, to put it mildly, but it’s a few minutes’ walk from the Bangsar LRT station) and simple décor. 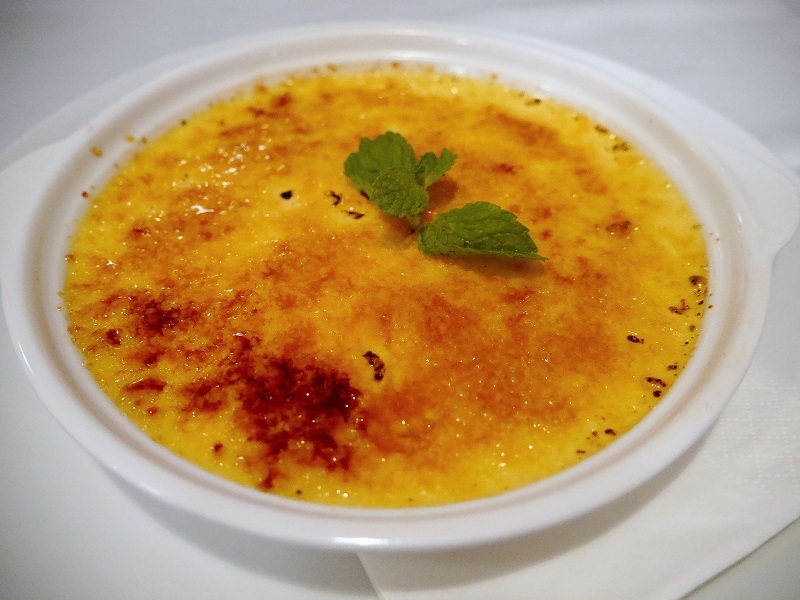 It prioritises function over form, eschewing fancy presentations, and is an unusual combination of authentic French food that’s almost Malaysian in its casualness. Kara Restaurant & Desserts, A-5-1, Sunway Giza, 2, Jalan PJU 5/14, Kota Damansara, PJ. 03 7622 2868. Wed-Mon, 11.30am-3pm, 6-10.30pm. Chez Gaston, 12-G Jalan Bangasr Utama 9, KL. 011 3993 0036. Tues-Sun,12-3pm, 6-10.30pm. This article first appeared on Jan 28, 2019 in The Edge Malaysia.